Amazon’s voice assistant Alexa wasn’t the first virtual personal assistant to launch, but there’s no question that it has become the best at this point. Alexa is available for free to any developers and connected device makers so they can integrate into their products, and Alexa ready devices can now be found anywhere and everywhere. That’s why it’s so important to have access to Alexa everywhere you go, and in this post we’ll show you the best Alexa smart speakers out there right now. The Echo Dot has always been one of Amazon’s best Alexa speakers for one simple reason: it’s Amazon’s least expensive Alexa speaker. Amazon’s Echo Dot is great for placing Alexa speakers all around your home so they’re always in range, but it has historically never really offered great sound quality. Using an Echo Dot was fine for ordering products from Amazon or controlling smart home devices, but streaming music wasn’t really an option if you care at all about sound quality. 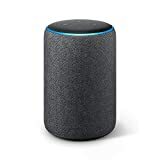 Thankfully, that changes with the new 3rd-generation Echo Dot, which offers all the great features of earlier models at the same price, but with much better sound quality. While there’s no question that the Echo Dot is the best and most affordable way to spread Alexa around your entire home, there are a few rooms that deserve something more. The 3rd-gen Dot has better sound quality than its predecessors, but it still can’t hold a candle to the Echo Plus. This premium Alexa speaker offers the same hands-free access to Alexa, but with even better voice recognition thanks to seven microphones, beamforming technology, and noise cancellation. It also packs premium speakers and Dolby play 360° audio for fantastic sound quality that’s crystal clear at low volumes or with the sound cranked up. Everyone knows Amazon makes a wide range of Alexa smart speakers for your home, but what happens when it’s time to leave and head somewhere in your car? Should you really be without Alexa anytime you’re not in your house? Meet the Roav Viva by Anker, a small device that looks a lot like a car charger. It fits in any cars power slot and it does include two USB ports so you can charge your phones while you drive, but it also turns your car’s sound system into one big Alexa speaker! 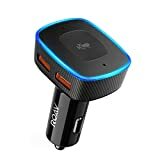 Stream music, get turn-by-turn navigation, or give your car any Alexa commands you’d like with this awesome accessory. Trust us, you’ll wonder how you ever lived without it. 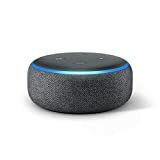 Echo Dot (2nd Generation). Amazon’s 2nd-generation Echo Dot speaker got a $10 price cut when the new model was released, making it a fantastic affordable option. Echo (2nd Generation). The Amazon Echo smart speaker is on par with the Echo Plus, but it doesn’t quite match the Plus model in terms of sound quality. It retails for $50 less than the Plus though, and it’s a big upgrade compared to the Echo Dot. Echo Show. Wish your Alexa smart speaker had a nice big screen to display things like instructions, recipes, YouTube videos and more? The Echo Show is just what the doctor ordered.